A joint venture between Camco International and Rex Investment Ltd. (RIL) has been awarded a USD 4.7 million tender by the Millennium Challenge Corporation (MCC), a US foreign aid agency that works in Tanzania, to distribute and install solar power systems in the rural Kigoma region of Tanzania. In spite of the fact that the country ranks among the top 10 countries in the world for solar irradiation, only 15% of the population of Tanzania has access to electricity and so it is with this in mind that the Kigoma project will initiate the installation of 208kW of solar capacity PV systems at 45 schools, 10 health centers, 120 dispensaries as well as at a number of local municipal buildings and businesses be the largest rollout of the technology in the history of the country. In addition, Camco International will work with households within the local communities and encourage them collectively to purchase and install solar home systems (SHS) which will reduce their individual overall cost by buying in bulk. According to the Managing Director of Camco Tanzania, Jeff Felten, the company is excited to be working in the community and eager to get the project started. After receiving a number of bids, the MCC ultimately decided that Camco Tanzania and RIL were the only bidders that would be able to effectively implement the importing and distribution of the solar equipment and materials. Rex Investment Ltd is the leading solar contractor in Tanzania and Camco International is a global developer of emission reductions and clean energy projects. 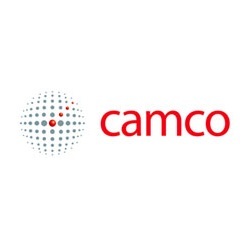 Camco International boasts more than 20 years of proven experience in project development, advisory, technical delivery and policy development, working with local industry, multinational companies, governments and regulatory bodies with locations in China, the US, the UK, Africa, Russia and South East Asia. Camco Tanzania is the market leader in the movement to install solar home systems across Tanzania. Of the USD 4.7 million value of the contract, USD 1.1 million is dedicated to Camco with no upfront costs, with the remainder of the sum being given to RIL minus a provision in the contract that will cover the upfront cost of equipment procurement. Camco Tanzania and RIL will begin the process of installing the solar panels in May and are scheduled to finish the project by July 2013.